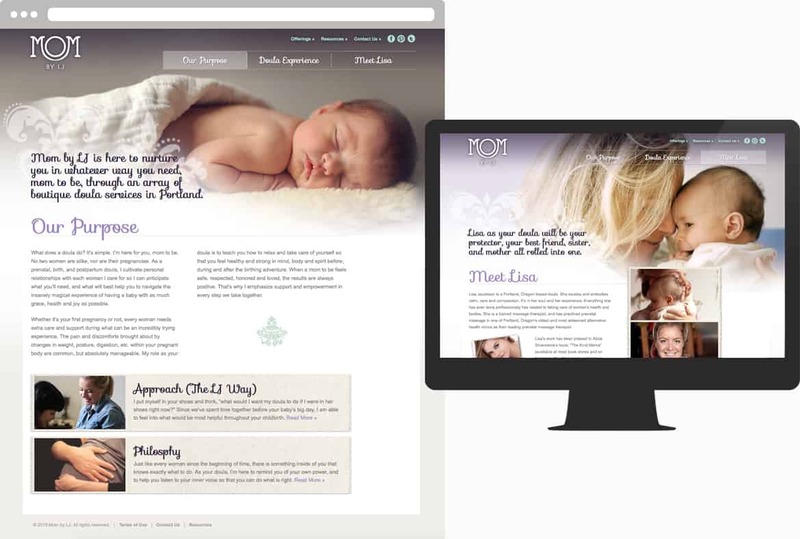 Mom by LJ is the professional website of doula, yogi, and masseuse Lisa Jacobson. Lisa supports and empowers women through their pregnancy, birth, and post-natal journeys by offering a variety of services in the Portland, Oregon, area. Her brand and website, created to fulfill her professional needs and visually define her practice, effectively communicates the gentle, nurturing, and holistic approach that Mom by LJ promises its clients.